…and it looks like there may be some bipartisan support for turbocharging the START program by taking advantage of a federal tax law change. The amendment would allow $10,000 per child to be taken from tax-privileged 529 savings plans each year. In a significant policy win for Cruz as he heads into an election year, it was included in Friday’s joint House-Senate conference bill, now headed for final passage this week. Many Democrats and some Republicans have opposed the federal tax benefit as a sop to affluent families that can afford to send their children to private schools. But the issue has received far less debate than the partisan battle over the GOP’s $1.5 trillion tax cut package, which affects almost all U.S. households, though it confers most of its direct benefits on corporations and the well-to-do. While the amendment has attracted little notice outside of conservative media, it has been a top agenda item for Christian conservatives and others in the movement to boost charter and private schools as an alternative to public education. 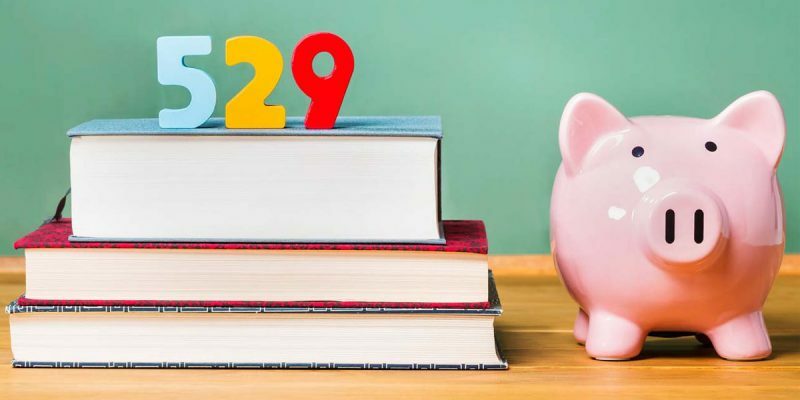 The amendment would expand popular 529 college savings plans to include K-12 elementary and secondary tuition, including educational expenses for home-schooled children. Much like Roth IRAs, the 529 plans use after-tax contributions to accumulate and grow tax-free. Currently, more than three-quarters of families using 529 savings plans make less than $150,000, which Cruz points to in describing the benefit as a boon for the middle class. “Expanding 529s ensures that each child receives an education that meets their individual needs, instead of being forced into a one-size-fits-all approach to education, or limited to their ZIP code,” Cruz said in a floor speech introducing the measure. Opponents say it would do little for low-income families with little in savings or practical choice about where their children go to school. Sen. Ron Wyden, D-Ore., argued against Cruz’s provision, saying it amounts to a subsidy for upper-income households at the expense of public schools. We included the quote from Wyden’s floor objection because you’ll likely hear that at some point in the debate at the Louisiana legislature over the issue. State residents can contribute to START up to $2,400 per child for single filers and essentially double that for joint filers. Those deposits are exempt from state income taxes, and the state matches up to 14 percent of the money, depending on family income. Tax-free withdrawals of up to $10,000 per year per child are included. Earnings on START accounts are tax deferred until they are withdrawn. If the money is used to pay for higher education expenses spelled out in the law, then those earnings are exempt from both state and federal taxes. START is set up as a college savings plan. A number of bills have been filed, thanks to Cruz’ amendment to the federal tax reform bill, to set it up as more of a prepaid tuition plan, and to bring elementary and secondary school tuition into START’s portfolio. One of those bills, the simplest one, is SB 379 by Sens. Conrad Appel and Jack Donahue. All it does is strike out all the references in the state law establishing START exclusive of higher education and replace them with “an approved elementary or secondary school.” Democrat Sen. Regina Barrow has a bill more or less identical to Appel and Donahue’s legislation in SB 448. The Advocate had an article this morning about a more complicated version, HB 650 by Rep. Franklin Foil, which establishes an entirely new program under START’s tent to service private school tuition and sets up a scale in which the state will kick in a 14 percent bump to the earnings of START accounts for private school tuition for families making less than $30,000 per year, etc. There’s another bill by Reps. Jerome Zeringue and John Paul Coussan, both Republicans, and Democrat Major Thibaut (HB 487) which looks a lot like Foil’s. What’s probably going to happen is the House will get behind one of their two more or less identical bills and the Senate will get behind one of their two, and then the question is whether a six-page bill or a 23-page bill (the Senate bills are six pages long; the House bills are 23 pages long) ends up being the final legislation. It doesn’t look like there will be too much controversy within the legislature about the idea of modifying START to pay for private school tuition if parents want it, though. There are bipartisan authors of these bills. That’s not to say the teacher unions won’t echo what Wyden said in the Senate. We wouldn’t be surprised in the least if the accusation was made that this is an assault on public education – they make that charge about practically every attempt to give private school parents some sort of break. But seeing as though there are nearly 150,000 private or parochial school kids in Louisiana, and close to 20 percent of all the K-12 kids in the state are in private or parochial schools, it’s not all that good an idea to offend that constituency. This is a fight the teacher unions probably won’t engage in with full force, and while Gov. John Bel Edwards is largely owned by the teacher unions he has to know that standing in the way of a bill like these becoming law is about as sure a way to run off those soft Republican voters who chose him over David Vitter in 2015 as there is. If Edwards were to veto something like this after it passed with bipartisan support, you could stick a fork in his re-election chances next year. Last week we were asked if there was anything other than the budget fight which the state legislature might be able to do to make things better in Louisiana. This is a decent nominee for an answer to that question.